The Warrior of Light and their comrades prepare to liberate Ala Mhigo, a land conquered by the Garlean Empire twenty years ago. Meanwhile, in the Far East, the freedom fighters of the fallen nation of Doma struggle to rekindle the fires of hope in their countrymen. 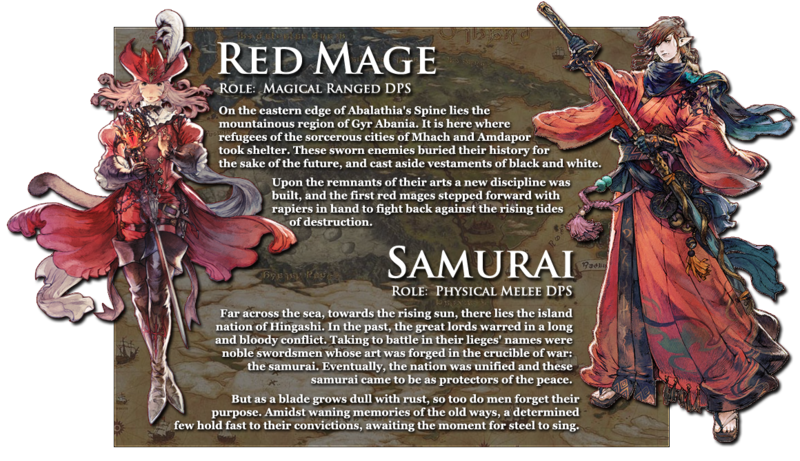 The time has come to embark upon a new adventure to realms near and far─to rise up with the people of Eorzea and the Far East, and cast down the curs of Garlemald! ♦ Can I join ResetEra's free company (FC/guild)? ♦ Is there a free-trial? There is a free trial with unlimited play time for the vanilla game (FFXIV: A Realm Reborn) up to Lv35, with restrictions. It's available on PlayStation (no PS+ required), Windows, and Steam. All servers are cross-platform. If you enjoyed the trial, you can purchase the full game and continue playing from right where you left off. ♦ Do I need to own A Realm Reborn and Heavensward to play Stormblood? 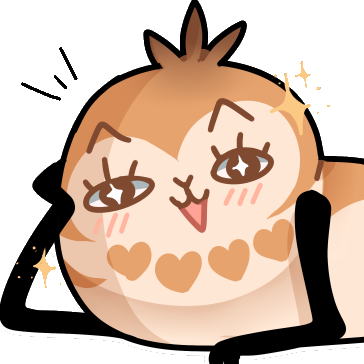 ♦ Do I need to purchase Stormblood for each of the platforms that I currently play FFXIV on? ♦ I bought and play FFXIV on Steam. Do I need to purchase Stormblood on Steam to upgrade my account? 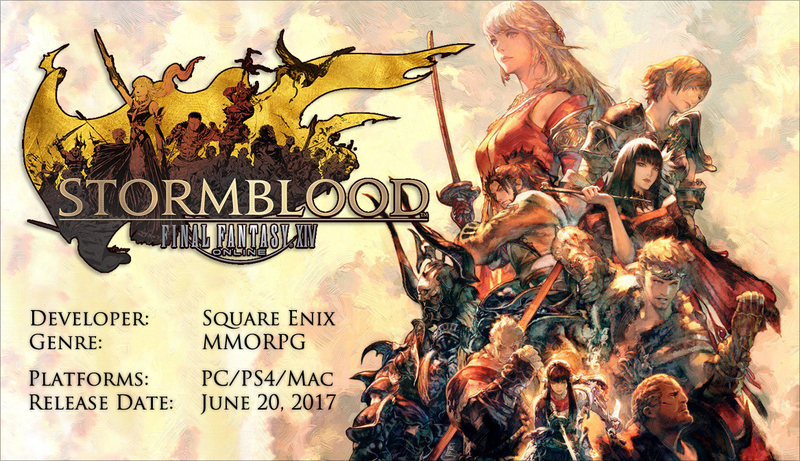 ♦ What are the in-game requirements for accessing Stormblood content? ♦ I want to skip all these Main Scenario Quests! ♦ I want to skip all this leveling! ♦ I’m getting launcher errors and I’m unable to patch download or version check the game! 1. Target or search up any member with the tag «Era» in-game, then select View Company Profile from the subcommand menu. You can find members anywhere or near the FC's estate in Shirogane: Northwest Aetheryte - Ward 18, Plot 30. You can also submit an application through the sign located outside. 2. Select Submit Application at the bottom of the Company Profile window. 3. Enter a message including your ResetEra username (if you have an account), to be sent with your application. Then press Confirm to submit. 4. An officer will review your application when available. You will be added to the free company automatically when the application is accepted. You do not need to be online for this process. 5. After you get in add your ERA name to your FC short message. — The Lodestone. Official site for news and more. — Mog Station. Account management and optional items shop. — Garland Data. Another database. — Gamer Escape's FFXIV Wiki. — Ariyala's FFXIV Toolkit. Gear calculator. — Crafting as a Service. Crafting information. — Cat Became Hungry. 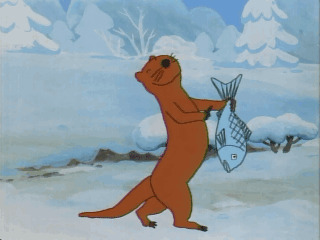 Fishing information. — FFXIV Clock. Gathering timers. — Minion Guide. Minions and mounts. — Explore XIV Sights. Sightseeing log. — Heavenswhere. Heavensward maps, hunts, etc. — All Main Scenario/Story Quests. — FFXIV (1.0) opening cinematic. — The Waning of the Sixth Sun (a narrated synopsis of 1.0). — A Realm Reborn (2.0) opening cinematic, includes Flames of Truth. — Heavensward (3.0) opening cinematic. — Stormblood (4.0) opening cinematic. 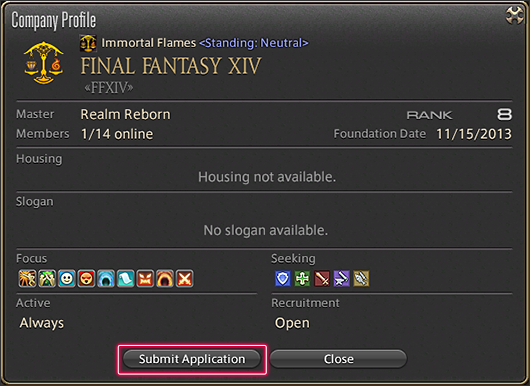 — The Final Fantasy 14 Appeal | An MMO For Everyone and Anyone? OT by Riley. Zenos is best husbando. Yotsuyu is best waifu. 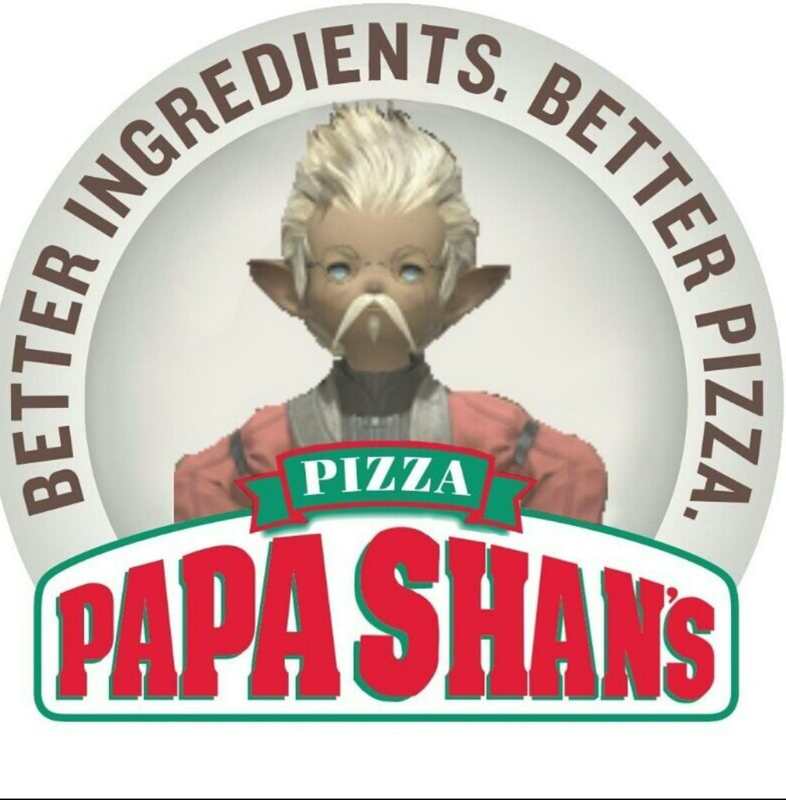 Tataru is best potato. [/QUOTE] <---Riley told me she forgot to remove this. edit wait I was thinking it was reset but it's not- Red you dropped the ball! We live! Now to drive home and then can fiddle around with settings and avatar. Yeah, what's up with that? You had one job, RedXIII. By the way, I'm Gunther Jawanthal in FFXIV. I don't play all that much, but I'm in our FC, slowly making progress. How about that fursuit event, eh? Gonna get to that next reputation level with the Blue Kojin tomorrow. Oh what plot twists await us? Oh damn. I should unlock and start those. Forgot they existed somehow. Ranked up the Kojin today, and the quest is very spiffy. Easily the best Beast Tribe quest so far, I think. Hit 70 DRG today. Damned fun. Now to figure out what is next to 70. Any group beaten new coil yet? I guess <<ERA>> is the obvious one (I'd prefer <<Era>> or <<era> though instead of caps. Were there any changes made to the ERA FC? I've been playing on Tonberry, but latency is becoming an issue. For what it's worth, GAF mods were the ones going through the community threads deleting (and in some cases apparently, banning) people posting the Discord links to the various community groups. New site,new thread and already do we have a lala plastered on the 1st page? I'm glad to be here. Just in time to talk about Ultimate Coil. Good job to everyone! Nice to be in our new home. Now to resub and get through ARR again. What's everyone's opinion on bringing Fracture back. I'm in! Now I can concentrate on crossbreeding Cloudsbreath and farming Shinryu. Edit: Also, if our FC tag doesn't become REAR then I'll riot. I think a fresh start means a fresh start for Fracture too. For, but only as a second DoT for AST. Hey guys, this is my first time posting in the FFXIV thread - I didn't post in the old one - but I just wanted to say hi. I was wondering. Once I hit level 60 using the exp boost on adamantoise, I could pay for a transfer to ultros right? Would love to be on the same server than most of you.